I’m definitely one of those people who unashamedly revels in the Christmas season. I have my decorations up mid-November and make it a personal goal to watch a different Christmas film every night of December (although this admittedly requires watching some truly atrocious ones). While I don’t love the commercialisation that undoubtedly accompanies the holidays, I do feel that gifts can communicate a thoughtfulness that is quite exclusive to this kind of occasion. The difficulty is that, over many years, it becomes harder and harder to buy presents that don’t just feel like throwing money at the first potential gift idea in desperation. Fortunately, for those of us who love books, there is always a way to integrate our obsession into the gifts that we give. Additionally, if you’re buying presents for book lovers, you have a super easy avenue through which to make sure that any gift you give will feel incredibly meaningful. I’ve given and received a lot of book-related gifts over the years. As we enter the present-buying frenzy of December, I thought that I would share some of my favourite gift ideas with you – with suggestions to meet any budget! This may seem a bit elementary but it amazes me how few people think to actually give books as presents. One thing I love to do over the course of the year is make a note of any books I read that I think family or friends would enjoy. It shows a level of thoughtfulness that, even if the person doesn’t end up loving your pick, you really can’t achieve with many presents. I’ve been giving books as gifts for a long time. It’s also a foundation for my relationship with my husband. Our first date was visiting bookshops around St Louis and we bought one another copies of our favourite novels. Every anniversary, we now pick out books for one another. It may sound overly sentimental but I don’t think any present will rival the thought that goes in to picking a book for someone. It’s also a really inexpensive option! One of my first sets of presents from my husband was a pair of earrings and a bracelet featuring small excerpts of pages from Pride and Prejudice. I don’t wear a lot of jewellery but these are some of my favourite belongings. If you pay a visit to Etsy (one of my all time top sites for gift purchasing), you will see just how many options exist. There are pins, necklaces, earrings, bracelets. And you can even tailor your search to specific books. If you don’t mind the American covers of the Harry Potter books (I’m biased, sorry! ), there’s this adorable bracelet for $35. 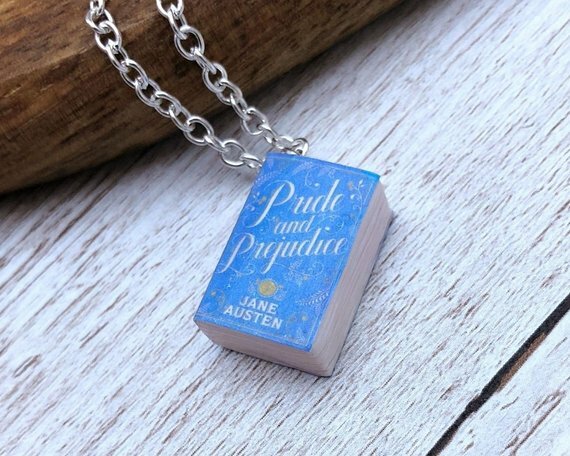 Or perhaps classic novels are more your style, in which case this homage to Jane Eyre is perfection at just $16! Whatever your literary desires, this is an affordable way to give something perfectly tailored toward your favourite bibliophile! This necklace is available from Nevalia Moon on Etsy for $10! I love a tote bag. In fact, I use them in the place of regular handbags, largely because they are far better at accommodating everything that I want to carry with me (and I always carry my current read wherever I go, in case of emergencies). 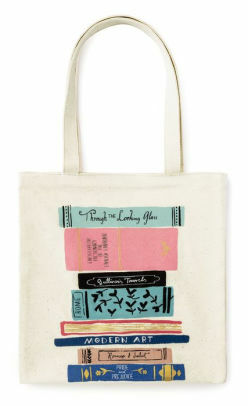 Literary tote bags are everywhere and are such a great, inexpensive gift for the book lovers in your life. Out of Print is one of my favourite websites for bookish knick-knacks and they have a wonderful collection of totes, representing so many wonderful books. Their normal cost is $20 but they’re currently down to $12 (although I’m not sure for how long)! Totes are truly the perfect gift for those friends who make too many trips to the bookshop or library and could do with an extra bit of help in carting all of those books around with them! You can get this super cute tote from Barnes and Noble! A little more expensive at $24. Last year, my husband bought me a book journal – a specialised journal designed to help you record your different reads and thoughts about them. I had thought that this kind of thing was obsolete in the face of Goodreads and, in my case, blogging. But it is such a helpful way to keep a concrete record of your reading habits. 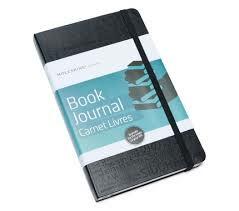 There are number of book journals that are very fit for purpose. Although I don’t own it myself, this one from Amazon (for $12.69) looks really perfect and is, importantly, small enough to carry with you. If you haven’t tried keeping a book journal before – or if you think it might interest someone you know – I highly recommend it. It’s such a great way to keep track of your thoughts and avoid that ‘I think I’ve already read this’ fiasco. For a super sleek option, Moleskine’s Book Journal is perfect (and on sale for $11.48)! Even with bookshelves everywhere, any bibliophile can always use more bookends. My husband and I have bookshelves all over our flat, yet we still end up with piles of books dotting virtually every available surface. As such, bookends have become a bit of a saviour for us. I love the feeling of being surrounded by books but I also like everything to have a place. So having a few sets of bookends really helps to create the feeling of organised chaos that has come to characterise my life. 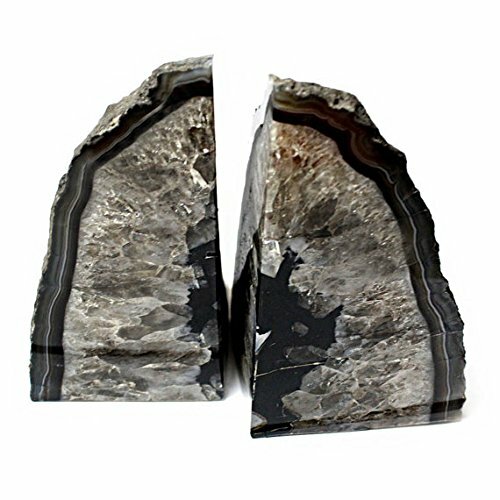 Bookends are also a great budget gift because you can buy them from virtually anywhere, across a spectrum of costs. Amazon is a particularly great resource, with so many options that you are sure to find something absolutely perfect! I actually have a set of bookends very similar to this. They’re sturdy and wonderful! You can get this set from Amazon for $35.99. Finally, if you are on a really tight budget but want to buy something thoughtful, you can never go amiss with bookmarks. I have about 30 and yet can never find one when I need it. No surprise then that, whenever I get a bookmark as a gift, I’m so excited! Once again, this is a gift that can fit a spectrum of budgets – but pay a visit to any bookshop and you’ll easily manage to pick up a set of pagemarkers or a bookmark for under $5/£5. 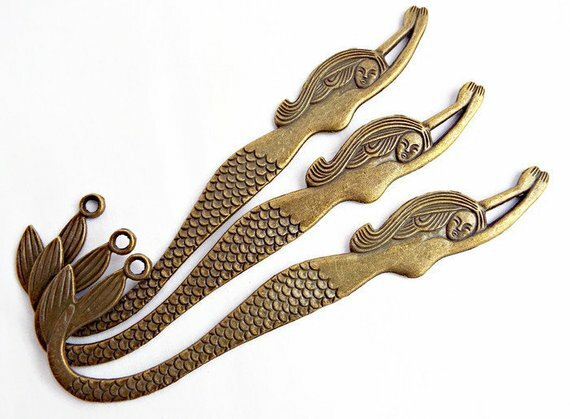 I even spotted these gorgeous metal mermaid bookmarks on Etsy, with a set of three costing just $4! You can find these gorgeous bookmarks from GlitteramaCrafts! So there we have it, some holiday gift ideas to suit all budgets! Christmas present buying can certainly be a trying experience, particularly with our propensity to do it all from behind a computer screen without much thought. Everything has become a little less meaningful as we’ve put more distance between ourselves and our gift giving. 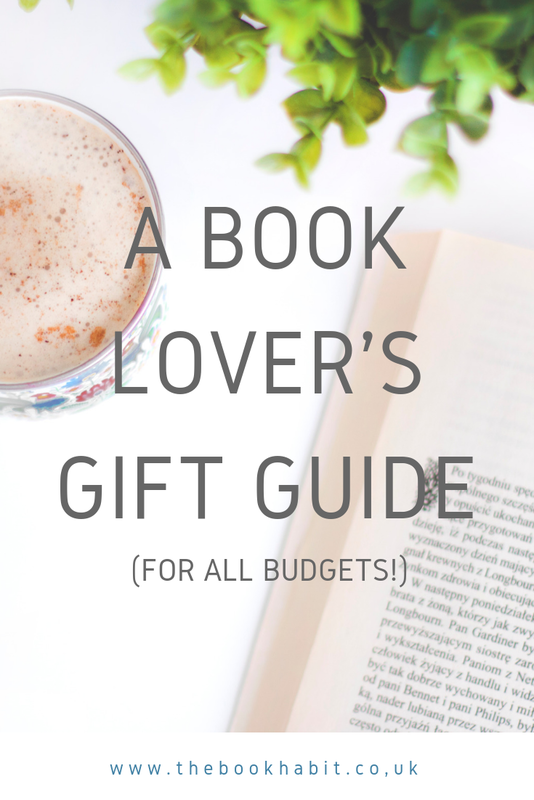 Fortunately, if you have any book lovers in your life, it’s so easy to find something that will make them feel extra special!If you have any book-themed gift ideas of your own, leave a comment down below. Otherwise, good luck!